Chicken can be tricky in the slow cooker. Already being a fairly tender and lean meat, if you don't choose the right cut, it could get rubbery over a long cooking time. To prevent this, use either bone-in chicken breasts or chicken thighs with the skin still on, as in the recipe that follows. The skin will prevent the chicken from drying out while the bone will require a longer cooking time. Of course, you don't want the bones or skin in your tacos. Those will need to be discarded once the chicken is done cooking, and the meat can then be shredded. That juice in the slow cooker is delicious though, so remember to place the strips back into them for a few minutes. This also allows the beans, corn, and chicken to all come together for a real taco treat. In a 6-quart slow cooker, combine all ingredients except chicken and cilantro. Mix well to ensure all ingredients are incorporated. Place chicken into the sauce. Place lid on slow cooker and cook on low for 7 hours or on high for 4 hours. 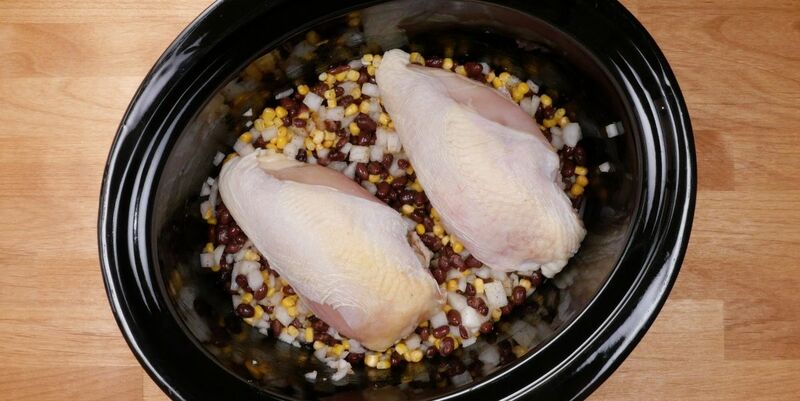 Remove chicken from the slow cooker, then discard skin and bones. Shred the chicken meat and place back into the slow cooker along with the cilantro. Allow the chicken to sit for 5 minutes so it can absorb the flavors of the sauce. 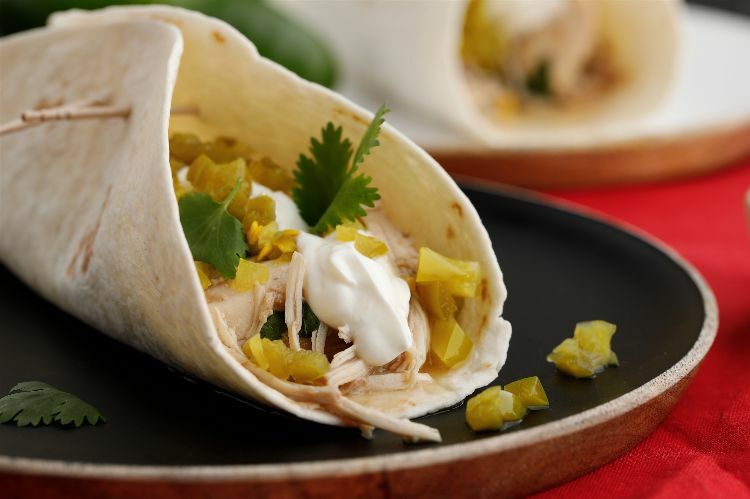 Pile chicken mixture into tortillas and top with chopped jalapeños and a dollop of sour cream.